If you’re not a fan of Google Glass-style displays yet, Sony hopes you might give its new detachable OLED a chance. The Japanese electronics manufacturer has announced a prototype head-mounted display that can easily attach to any sort of eyewear and display information on its high-res OLED module. 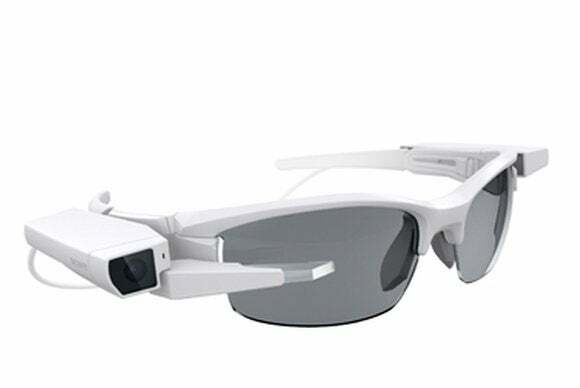 The device is much closer in design to Glass than Sony’s previous head-mounted wearable, SmartEyeglasses, which are glasses that can project basic green text and graphics across the lenses. Sony's Single-Lens Display Module (bottom) is a high-resolution OLED screen that can be used for applications such as showing distance maps during golf games. The new 40-gram display consists of a band that goes around the back of a user’s head, with electronics on either arm. The control board on the right side contains a processor, sensor hub and Bluetooth and Wi-Fi modules. The unit has an electronic compass, accelerometer and a touch sensor for manipulating and selecting display contents. The 0.23-inch color OLED microdisplay, which Sony says is one of the smallest in the world, has a resolution of 640-by-400 pixels, which is slightly better than Glass at 640-by-360. It extends from the board and an optical unit reflecting the display contents is positioned near the right eye so vision isn’t blocked. “The distinguishing feature of the display is its high-resolution OLED, which allows for a high level of contrast and imagery that can be clearly seen in both indoor and outdoor environments,” a spokeswoman at Sony’s Tokyo headquarters said. The control board has “arithmetic processing capabilities on par with smartphones that was made possible by high-density packaging technology,” Sony said. The device has storage of 16GB that could be expanded depending on development. 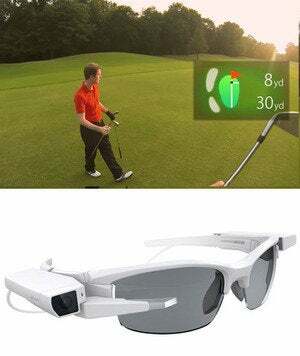 It can be paired with a smartphone to display information while playing outdoor sports, such as distance maps during a golf game or showing the view from a linked action camera. Sony did not give details about when it would sell the SmartEyeglasses when it showed off its latest prototype at the IFA electronics show in Berlin in September, but it said Wednesday it will start mass production of the new Single-Lens Display Module in the coming year. A prototype version of the new device called “SmartEyeglass Attach!” is slated to be shown off at CES 2015 next month in Las Vegas. The company may also supply the device to eyewear makers or other firms working on applications for entertainment, sports or workplace uses, and will provide SDKs to developers. Sony did not release details about pricing or availability.